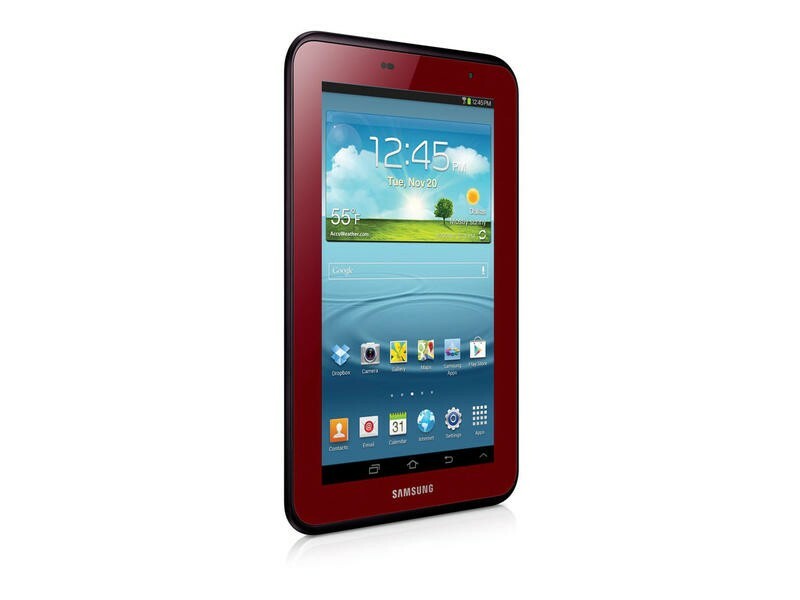 If you’re looking for the perfect Valentine’s Day gift for your tech-obsessed significant other, Samsung is coming to the rescue with a Garnet Red version of the Galaxy Tab 2 7.0 tablet. Samsung announced today that it is releasing a limited edition color variation of the Galaxy Tab 2 7.0 tablet. The new Garnet Red version of the tablet will go on sale this week at Walmart, Amazon.com, Office Depot, Fry’s, Tiger Direct, Toys“R”Us and other retailers. The new tablet will be available for a limited time and have a suggested retail price of $220. A matching Garnet Red case will included as a free bonus. RIDGEFIELD PARK, N.J., January 28, 2013 – Samsung Electronics America Inc., a market leader and award-winning innovator in consumer electronics, today announced that a new Garnet Red Edition of the powerful Galaxy Tab® 2 7.0 will be available for a limited time, beginning this week from participating retailers. 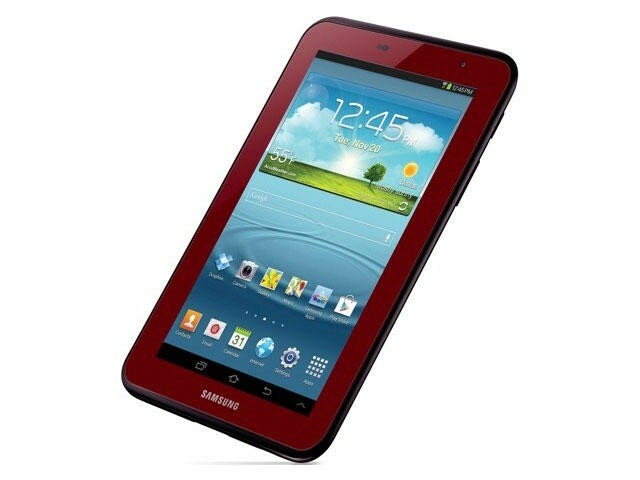 The new Galaxy Tab 2 7.0, preloaded with Android 4.1, Jelly Bean, showcases Samsung’s commitment to providing users with choice, portability and entertainment. 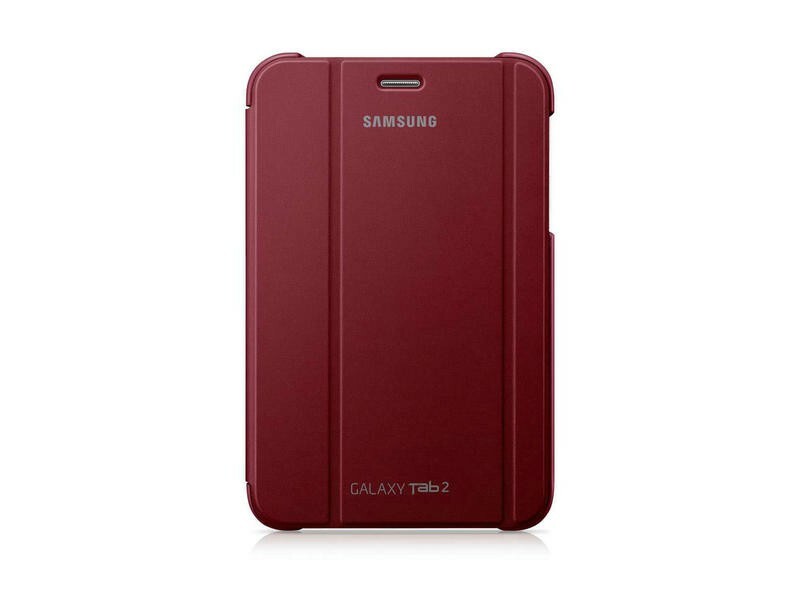 This limited edition version of the Galaxy Tab 2 7.0 is competitively priced at $219.99 and also includes a matching Garnet Red case ($50 value) at no additional cost. The tablet offer endless content access in a sleek design that can maximize the home entertainment experience. The Smart Remote App and built-in IR Blaster turns the Galaxy Tab 2 into a universal remote, helping users to easily find their favorite shows and change the channel directly from the tablet. Users can choose from hundreds of thousands of apps or access favorite movies and TV shows from Google Play or Media Hub. 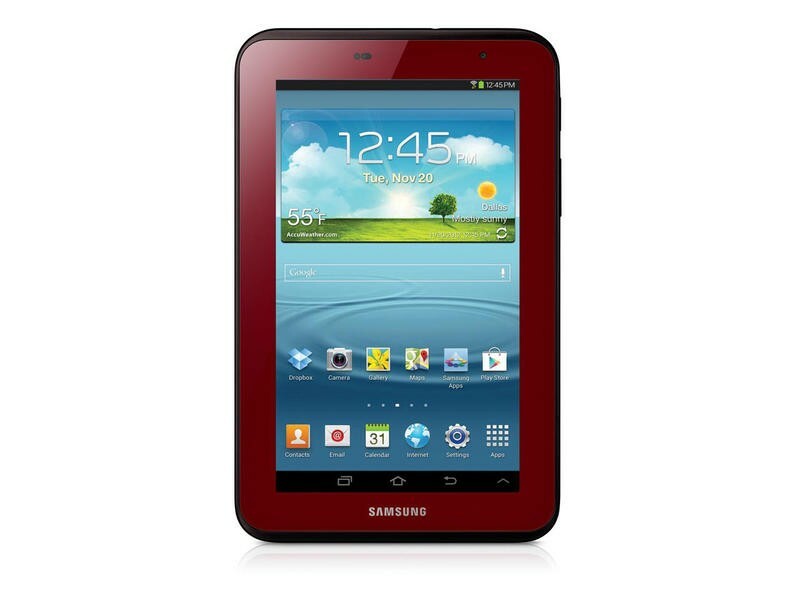 The new Garnet Red Edition Galaxy Tab 2 will be available while supplies last, from Walmart, Amazon.com, Office Depot, Fry’s, Tiger Direct, Toys“R”Us and other fine retailers. It features a 7” TFT display and measures 0.41” x 4.8” x 7.6”. Weight including battery is 0.76 lbs and it features a built-in microSD slot supports up to 32 GB of additional storage. Connectivity includes WiFi, Bluetooth 3.0, USB 2.0 host, and integrated IR for home theater control. More information can be found at www.samsung.com..